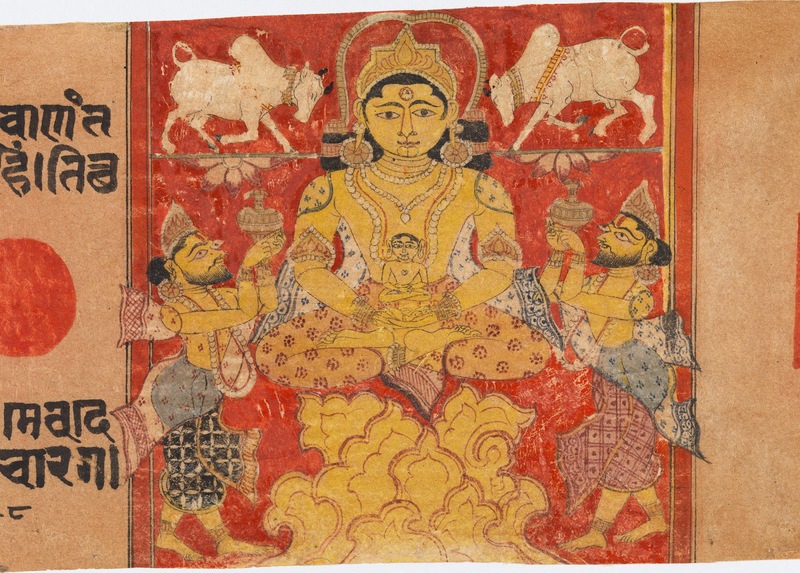 The Apabhramsa School of Art or Jain School of Art or simply known as Western Indian School of Art is a predominant school of art in western India during 11th to 15th century. 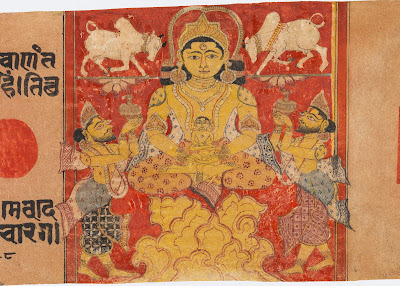 It grew as a reaction to the great mural paintings of Ajanta along with Pala school of art. 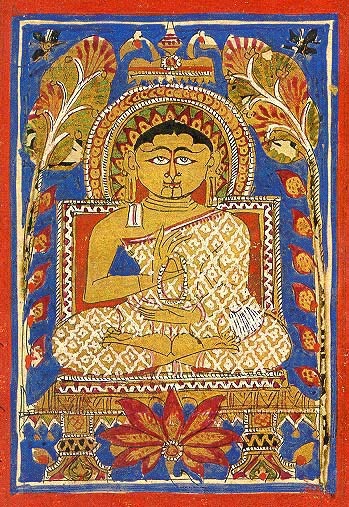 Again, like Pala school of art, Apabhramsa school was inspired by the great Ajanta murals. It can be also said about Apabhramsa miniature paintings, they were nothing, but the great murals of Ajanta in reduced dimensions. The main difference between Apabhramsa and Pala school of art was the difference of their patrons' faith. 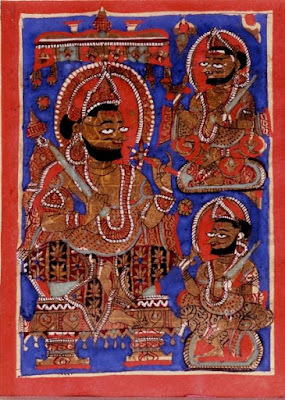 The Apabhramsa school was patronized by Jain Solanki rulers of Gujarat and Rajasthan, so these paintings were dominated by Jain iconography, whereas Pala school was patronized by Buddhist rulers, so their paintings were dominated by Buddhist imagery. The word "apabhramsa" means corrupt or mixed. So, one can observe a much stylistic difference between the early and later phase of Apabhramsa school of art. It is also the time when the base of paintings was changed from palm leaf to paper. 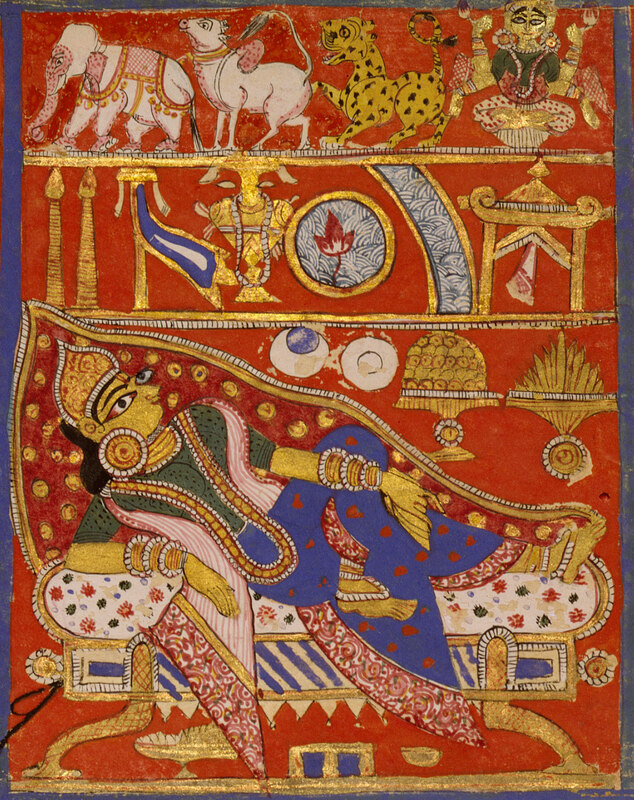 In the early phase, Apabhramsa painters used palm leaf but later, they moved to paper. The Kalpasutra and Kalakacharya-Katha are two heavily illustrated Jain text by Apabhramsa artist. The Kalpasutra contains the biographies of the Jain Tirthankaras, notably Parshvanatha and Mahavira. 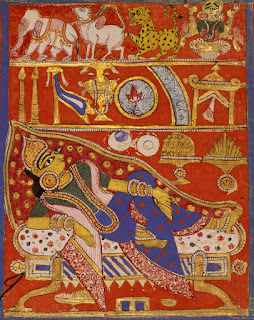 In early phases, the Apabhramsa artist mainly used natural colours like indigo, red, yellow and ochre but in the later phase, they also started experimenting with gold pigment. Apabhramsa artist also started depicting human figures with fish-shaped bulging eyes, a pointed nose, and a double chin; angular faces in third and fourth profile and female figures have large hips and breasts. In the later period, we can also see the rich and detailed ornamentation of figurines. The convention which later gained its fullest expression in later Delhi and Rajasthani school of art.